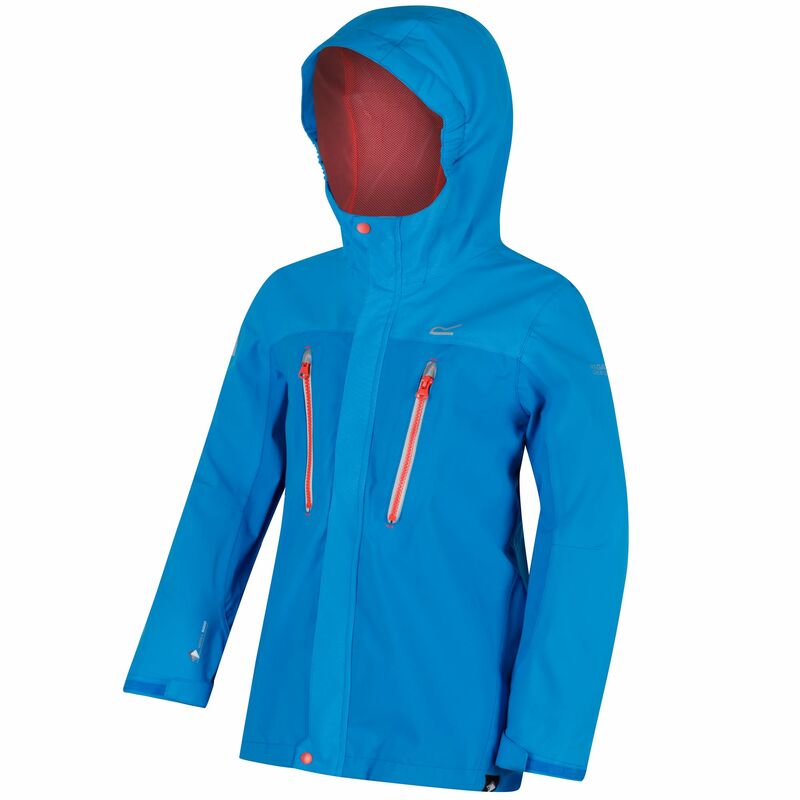 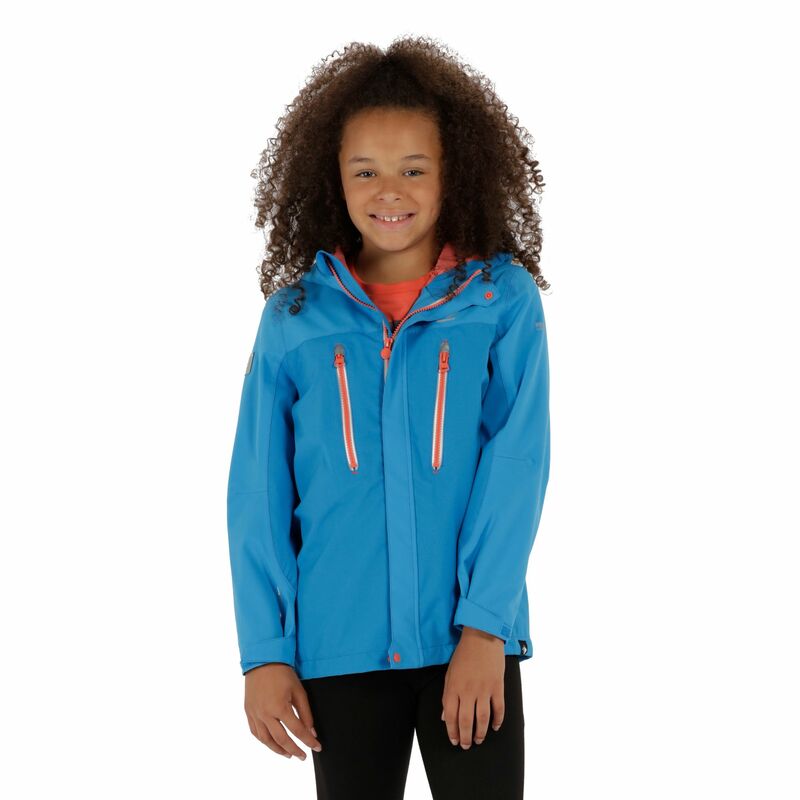 Top-of-the-line kids' shell jacket that moves and protects out on the trail. 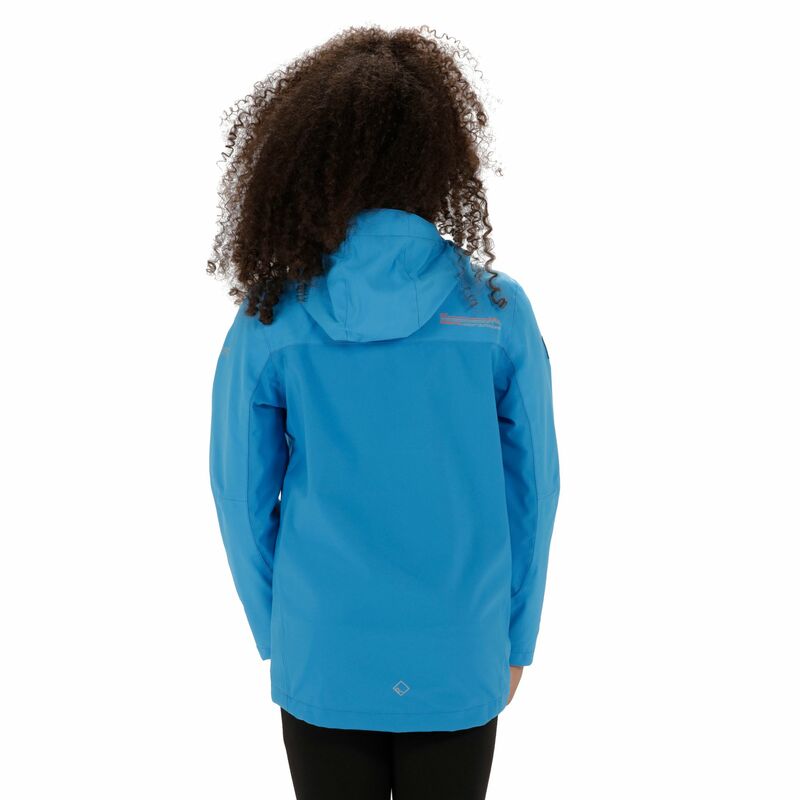 Tough-wearing, seam-sealed polyester fabric with waterproof/breathable ISOTEX 10,000 technology and a DWR (Durable Water Repellent) finish delivers solid wet weather coverage. 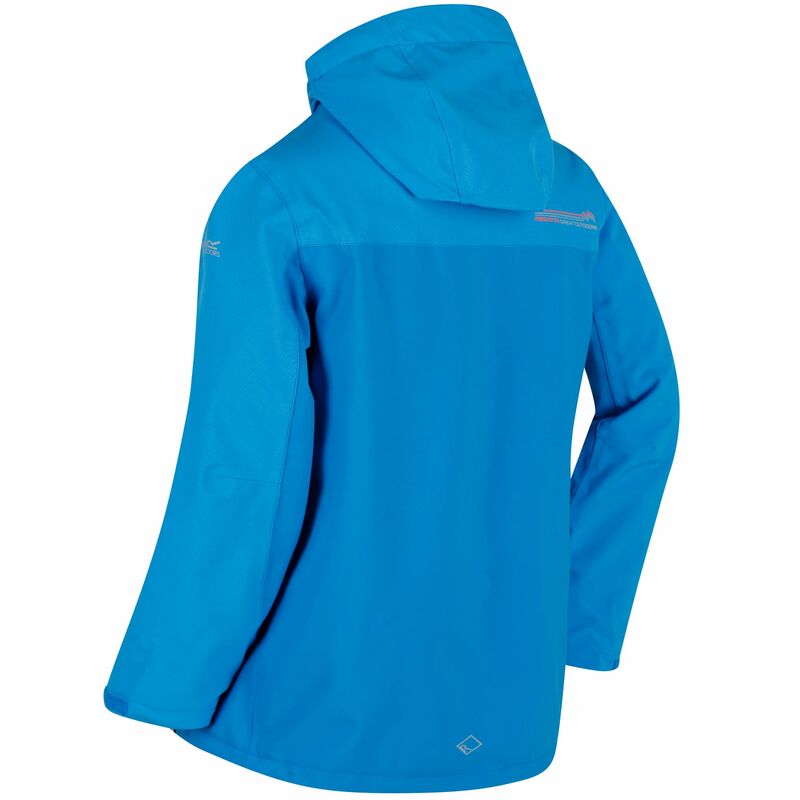 The peaked hood and adjustable cuffs provide a close, protective fit, while the soft mesh lining adds comfort. 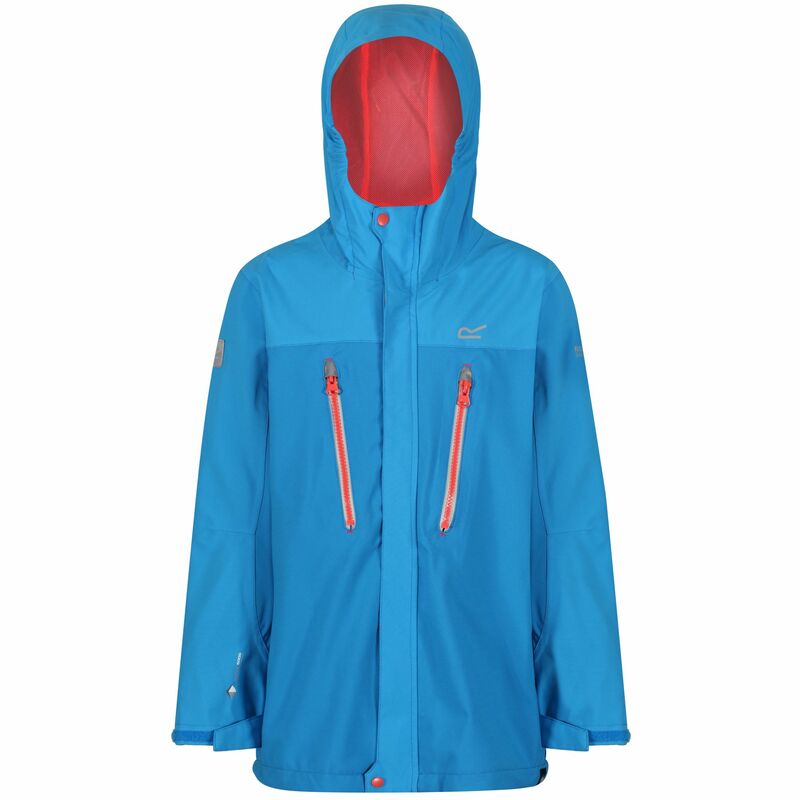 With zipped mountain pockets and our signature R on the chest.